in interactive presentations, workshops and discussions. See the whole article here. practical approach to achieve this alignment and facilitate regular executive conversations about projects and their contribution to the success of an organization. The paper "Using Game Theory to Improve IT Security in the Internet of Things" is now published on the Zero Outage Industry Standard WebSite. Industry leaders were gathering at King's Place in London to join the “Zero Outage Summit” on Sept 14. An event promising to spread the idea of a common Zero Outage understanding through networking and discussions. Walter Sedlacek spricht über die Aufmerksamkeit für Sicherheit und eine dringend benötigte Normierung von Sicherheitsprozessen in Unternehmen. Mindesthaltbarkeit oder: Was passiert wenn sich niemand kümmert. Artikel zu Überlegungen wie man Internet of Things Geräte absichern kann. Security Workstream Meeting in Milan Development of supplier network management model From 12th – 13th of January 2017 representatives of Cisco, Brocade, Hitachi Data Systems (HDS), Hewlett Packard Enterprise (HPE), Juniper and T-Systems met in Milan to discuss the development of a supplier network management model. More Details can be found here and here. Establishing professional Project Management within Asia and dealing with cultural differences. 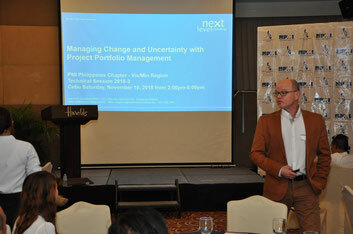 In March 2015, Walter Sedlacek conducted a two-day workshop for the PMI Chapter in Thailand on behalf of next level consulting. The workshop was about establishing a project management office (PMO). The following interview outlines some of the personal experiences that Walter Sedlacek made during this PMO Workshop. Standards help us make processes efficient and reliable, which leads to tangible savings. They are of incalculable value in project management in particular. After all, projects determine how successful we will be in the future." This lecture discusses what, why, and how a PMO should be implemented within organizations. We will focus on relevant factors important in such implementation such as the Project Oriented Organization (POO ) culture and will then share with us a Case Study from my experience at T-Systems in the United Kingdom. Lessons learned from my experience at this enterprise, while implementing the PMO itself as a project, should help all participants better plan for any such implementation within their individual organizations. 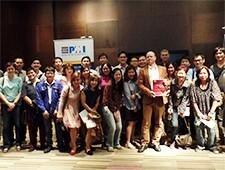 The lecture was given to the PMI community in Bangkok in September 2013. "PM Excellence" - Professionalising Project Management within T-Systems UK. Ein Interview über den Aufbau des Project Management Office in T-Systems UK 2008 und 2009. Folien des Vortrages "Cost Effective Software Deployment and Maintenance in a Multi National Environment" beim Fachhochschulstudiengang Wissensmanagement" in den Jahren 2008 und 2009. Cost effective SW in a multi national environment. "Mehr PS für den Speicher" - SAN Storagelösung für General Motors in 2006. In today's IT departments, escalation management is one of the most critical processes. It must be very fast and stable at the same time. Changing technologies and heterogeneous architectures complicate the implementation of state of the art tools like HP Openview or Tivoli.In addition, due to financial constraints, the high licence costs of those tools make it very difficult to implement them area-wide. This paper will show that the measurement of important IT services and the comparison with an agreed service level can be done at a low cost, while at the same time achieving a very high quality. Open Source tools trigger the designed escalation process and enable in-time action and information. Both the management and the technical operations team receive the right information early enough to set further actions. In today's business laptops are state-of-the-art. Often there is a need to connect a laptop belonging to an employee of company A to a network of company B, e.g., during a business-visit or during some maintenance activities in a manufacturing plant. Because the laptop could be infected with a virus and thus could harm the IT environment of the company B, this connectivity is sometimes forbidden by the corporate IT security policy of company B. This paper describes various solutions on the market, which overcome this situation and ensure the IT security that customers need. For monitoring of IT Systems for production lines within a General Motors plant Open Source software around NAGIOS was choosen and successfully implemented as AIM - Aspern IT Monitoring. This document outlines a generic IT architecture, which enables the synchronization between the two IT architectures of the Registration of Rights of Russia and the Federal Agency of a Cadastre of Objects of the Real Estate for Russia. This content has also been presented to the EU TACIS project steering committee.